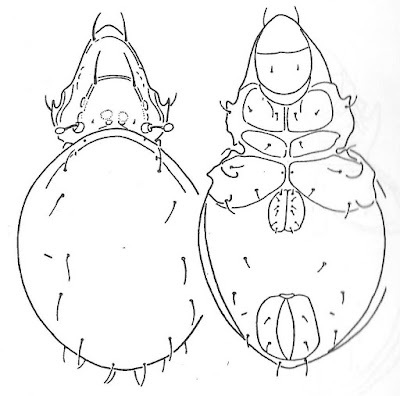 Dorsal (left) and ventral views of Membranoppia krivoluzkyi, from Balogh & Balogh (1992 vol. 2). Membranoppia is a genus of oppiid oribatid mites found in the Neotropical and austral regions. They are divided between two subgenera; species of Pravoppia have setae c2 much longer than the other notogastral setae whereas in Membranoppia sensu stricto they are apparently absent and represented only by the alveoli (Balogh & Balogh 1992). 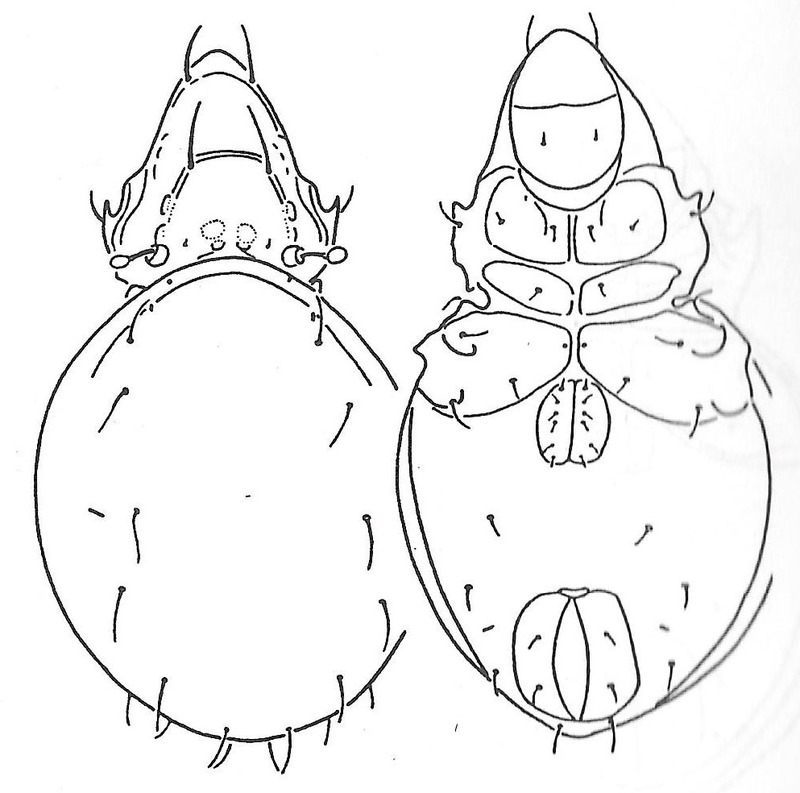 Characters (from Balogh & Balogh 1992): Prodorsum with lamellar and translamellar lines present, costulae absent; sensillus globular. Notogaster with crista absent; setae c2 originating anterior to setae lm. Genital plates with six pairs of setae. Fissure iad inverse apoanal. [SBG97] Starý, J., W. Block & P. Greenslade. 1997. Oribatid mites (Acari: Oribatida) of sub-Antarctic Heard Island. Journal of Natural History 31: 545–553.